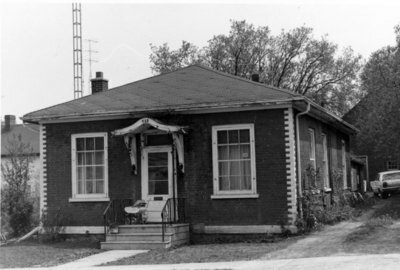 Black and white photograph showing the house at 215 Colborne St. E.
This was a Regency era cottage built in the 1850s. It was demolished in 1977 for a parking lot. 215 Colborne St. Brian Winter, 1974. Whitby Archives 17-088-002.